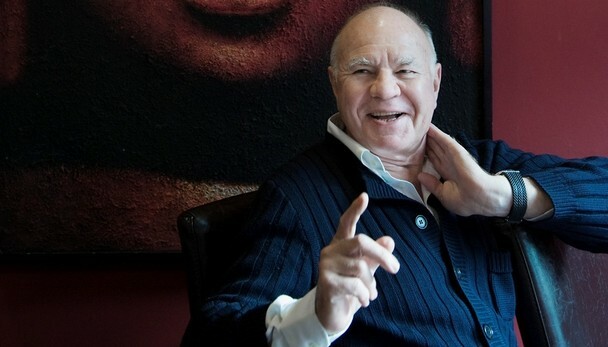 Marc Faber, the famed investor known for his gloomy take on the markets, bought beaten-down common shares in asset management firm Sprott Inc. this month, regulatory filings show. Paul Stephens, chairman and partner of Stephens Investment Management LLC, a San Francisco-based hedge fund, has also been snapping up shares. Both Mr. Faber - who is the author of The Gloom Boom & Doom Report - and Mr. Stephens are directors of Sprott. Eric Sprott, who is CEO of Sprott Inc. and oversees its resource-themed investment arm Sprott Asset Management, is one of the world’s best known gold bugs. While his bets on gold made him famous during bullion’s runup, his hedge funds have fallen drastically in value as prices for the commodity tumbled over the past year. Sprott Inc. shares are down more than 30 per cent year to date.